My son got a duplicate #75927 for Christmas (sealed box in v.good shape) and he said he like to swap the set for #5885 Triceratops... Okay, I'll see what I can do, I said. I'm aware that the set (new) is going for silly money wherever you can find it. However, he mainly wants the Triceratops, and I think he'd be happy with a used one as long as it's in pretty good condition. Alternatively, I think he'd be happy with £25 + P&P for #75927 if anyone was interested. I've got other things that I'd be happy to use to re-adjust values in any trade. Most of the items I have are from my various trade threads. Please feel free to make offers. I'd be more than happy to hear from anyone who has the Triceratops available, even if the trades don't appeal. Triceratops are the best, good luck getting one. 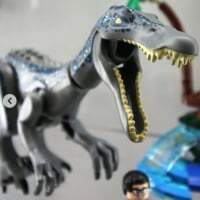 Perhaps we will get lucky and they reintroduce that mold in an upcoming wave of Jurassic sets. ^ Thanks @Bumblepants, yeah Triceratops are very cool and the most recent LEGO one is lovely. 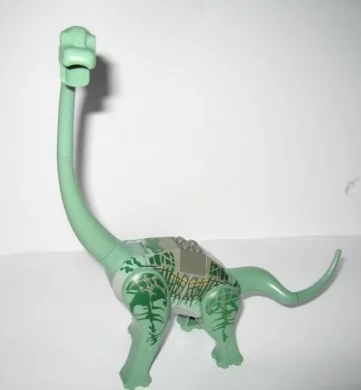 I'd be delighted to see a Brachiosaurus released in a new wave too, as unlikely as that may be. Can anyone help with this? My little boy is fairly keen on getting the Triceratops with some of his Christmas money. We've lost out on two eBay auctions this week, the last one by a bloody pound whilst I was cooking tea. Have about £35 for the set (used), if that sounds reasonable please PM me. Thanks all, @aduk came through with a Triceratops. Mods please close @drdavewatford @Huw @CapnRex101 thank you.